Ever had a case of stuck tongue + sweaty armpits when starting a conversation in Italian? You’re sitting in a nice Italian restaurant in the main piazza, enjoying the sunshine. You scan through the Italian menu to find your favourite pasta dish. The restaurant where you’re sitting is full cheerful and loud Italian people enjoying their lunch break. “It must be a good one -not a tourist place!” you think. One little drawback, though: you realise that the staff doesn’t really speak English. Now, You want to attract the waiter attention but…how do you say “excuse me’ in Italian? You get your phone out. Type it “Excuse me, I’d like spaghetti carbonara, please!” in Google translator. The waiter looks at you completely puzzled! OOPS!! You must’ve said something wrong. Plan B: you show the waiter the screen of your phone and point at the sentence you wanted to pronounce, and then point at the food you want on the menú. A feeling of embarassment dawns upon you. If only you had learned some Italian earlier prior to your trip! But last time you tried to attend a course your boss decided to keep you late at work and you had to miss quite a lot! Also, last language class you went to didn’t really work for you. They taught stuff that wasn’t related to what you want to learn (aka travelling!). Or you’ve realised you’re an independent learner who thrives when learning on her own. You want to be the one who decides what to learn and when (rather than be told so by some random teacher!). Either way, you really want to learn Italian. And actually speak it. Because you really want to enjoy your trip to Italy. You want to connect to Italian people. You want to be part of their world. And I really want to help make your trip to Italy the best ever. I created something for you that can help you speak the Italian you actually need for your next Italian holiday! Something that will help you learn the Italian you truly need on your own terms (whenever you want and wherever you want!). The Italian Conversation Guide for Travellers is a bundle of Italian learning resources that include vocabulary flashcards online, a conversation workbook with 20+ different travelling scenarios with related conversations, an essential grammar guide, and a community of Italian learners that will help you acquire the vocabulary you actually need to speak Italian confidently on your next trip to Italy. What does the Italian Conversation Guide For Travellers include? A vocabulary guide with over 60 sets of Italian Flashcards online. These are Italian/ English flashcards (on one side there is the Italian phrase and on the other the the other you’ll find English translation) and feature all the essential Italian vocabulary (words, phrases as well as sentences) related to travelling and holidaying in Italy. These are visual and audio flashcards (yes, you can hear the pronunciation and practice it too!) that I’ve created myself to save you countless of hours of word searching and second guessing! All the flashcards are organised by topics as well as alphabetical order. Each set is named afer a specific topic ( e.g. greetings, food, etc.) and contains on average 12 flashcards. The best things is that you can access these flashcards from your laptop, tablet or phone as long as you have an internet connection, which means you can learn anytime and anywhere! Conversation Workbook This is a workbook with 22 conversation scenarios and 12 learning sheets featuring examples of Italian conversations you’re likely to have when travelling in Italy. This workbook helps you put into context the vocabulary you’ll be learning through the flashcards and use it to create your own conversation scripts to get you speaking ASAP! “How to use Quizlet” Guide – My online flashcards are host on Quizlet. Not sure how to use Quizlet? FEAR NOT! This easy little guide will show you how. Plus, it will give you some tips to help you make the most out of your online flashcards! Essential Italian Grammar Guide. An overwhelm-free checklist of all grammar you need to know with explanations and free websites where you can practise it! Language exchange finder – This little guide aims to help you find a perfect Italian exchange partner to practise with and turn those conversation scripts you’ll create into a real conversation. Because the only way to learn a language is to speak it! Access to the Italian for Travellers Facebook Group where you can meet other like minded Italian learners, practise with them as well as get help from me any time you’re stuck or really don’t know what to say something. Post your question in here and you’ll get the answer! Once you purchase the Italian Conversation Guide for Travellers you get lifetime access. It means you get free access to all future updates (and more expensive!) versions YAY! You can get Italian Conversation Guide for Travellers at a discounted price right now. or try a free sample right here! Who created the Italian Conversation Guide for Travellers? Hi, my name’s Erminia Pedata, but you can call me Ermy. I’m a qualified language coach and Italian native speaker and the creator of the Italian Conversation Guide for Travellers. When I first moved to England, my English fluency was fairly limited, so I used to prepare little conversation scripts (either in my mind or on my phone!) to effectively communicate in daily conversational scenarios, such as asking for something specific in a shop or going at the doctor’s. Creating these little conversation scripts helped me build my confidence in speaking English. The Italian Conversation Guide for Travellers stems from this idea. It’s the perfect resource for those Italian learners who are just starting their Italian learning journey and would like to build their confidence in speaking the Italian they actually need to enjoy their next trip to Italy. Are you one of those people who love tasting the cake before buying it? I don’t blame you! I’m the same (especially if it’s chocolate cake)! One warning: it took me a fairly amount of time and effort to prepare this free sample, so please download it ONLY if you’re actually going to use it. Don’t let it just become clutter in your computer. Download it and take actions on the activities provided ! That’s how you’ll really benefit from it. You don’t know how to structure your learning, what to learn first and would like a roadmap to follow – the Conversation Workbook in the Italian conversation Guide will give you this! You are not willing to spend at least 10 minutes of your time to learn some Italian every day. You can’t be bothered to download a free app like Quizlet on your phone to use the flashcards included in the guide. You’ve used Quizlet in the past and didn’t like it. Are you ready to start learning Italian straightaway on your own terms (any time and anywhere! What kind of topics does the Italian Conversation Guide for Travellers cover? All the topics that are related to holidays and travelling around Italy. Below is a list of some of the topics. Bear in mind that this list is constantly evolving and once you purchase the Italian Conversation Guide for Travellers you get free access to all future updated versions too. YAY! They are online flashcards on Quizlet. Quizlet is an app you can download on your phone (for free!) so you can play with your flashcards, learn and have fun at the same time (which aid memorisation). Plus,you can see the word, but also hear the words. 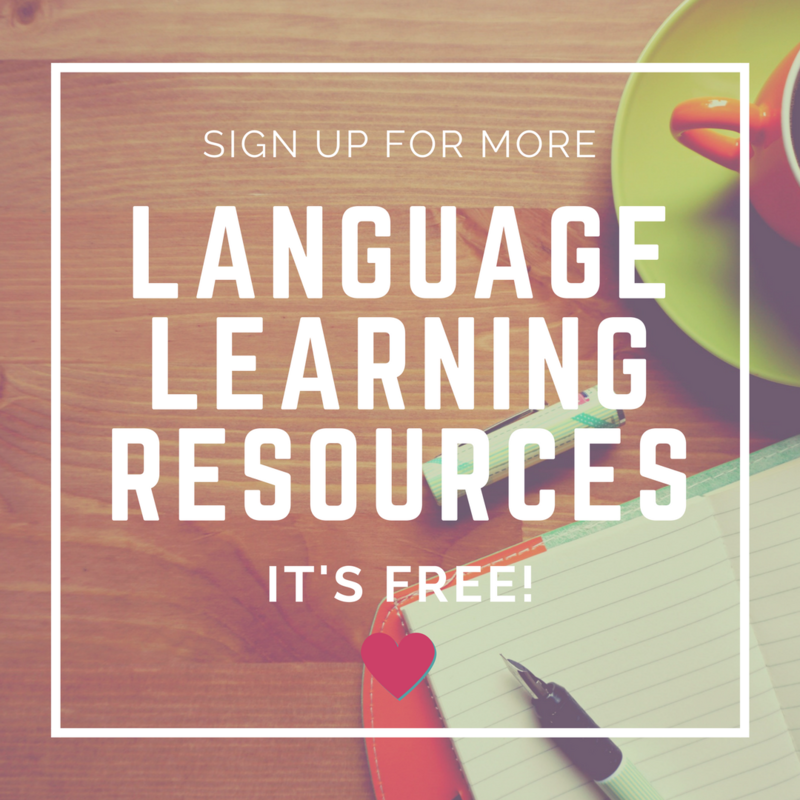 Get a free sample of these flashcards right here (you’ll be sent them to your email along with the instructions to access them). The flashcards included in the Italian Conversation Guide for Travellers are online and you can hear the pronunciation of each word and phrase they feature. Also, on Quizlet (the platform where these flashcards are hosted) there are specific listening activities that include dictation that will help you develop your listening and pronunciation skills too. I’ve got you covered. Along with the flashcards, you’ll also get an easy step by step guide that will set you up to use Quizlet like pro + give you some tips to get the most out of your flashcards. “I don’t know much Italian as I’m just starting out. Would the Italian Conversation guide for Travellers work for me? Yes! The Italian Conversation Guide for Travellers is actually for people who has just started learning Italian or would like to start now. The Italian Conversation Guide for Travellers would help you build up the vocabulary you need and put it into context through conversation scripts. By card. All transactions are handled via Paypal, one of the most reliable and secure platforms to handle payments online. You’ll be asked for your details and once you complete the transactions, you’ll be send to a page where you can insert your name and email in order to have access to the Italian Conversation Guide for Travellers. Due to the digital nature of the product refunds are not possible. However, you’re more than welcome to try the Italian Conversation Guide for Travellers before purchasing right here (you’ll be sent it to your email along with the instructions to access them). Sure. Get a free sample of the Italian Conversation Guide for Travellers right here (you’ll be sent it to your email along with the instructions to access them). As long as you’re proficient in English, yes! I learned French through English and it worked for me as I already knew English. In a way, it would be even better for you as you’d be practising two foreign languages at the same time! How cool is that! Write to me at thelanguageroseATgmail.com and I’ll get back to you as soon as I can. READY TO START LEARNING ITALIAN FOR YOUR NEXT TRIP TO ITALY?